Our website offers you easy ways for to choose your Tour Package. 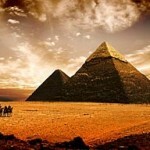 According to how long you want to explore the part of Egypt you are interested in, there are packages to suit you and they have been ordered by length if time for easy browsing..
We offer a wide collection of Egypt tours which will suit all your needs with reasonable prices tours to Cairo, Alexandria, Luxor, Aswan, Hurghada and Sharm El Sheikh. Send us your request and your tour operators will answer you directly.